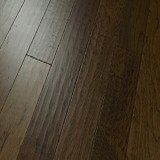 RA Siegel Signature Collection Hardwood Flooring - Save 30-60%! 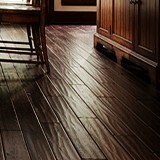 Explore Siegal Signature Hardwood Flooring styles! 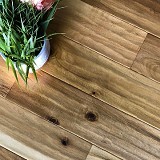 Buy RA Siegel Signature Collection Premium Hardwood Flooring Today! 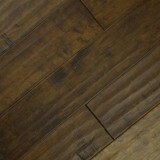 RA Siegel Signature Collection Hardwood is a beautiful hardwood choice for any room! Ra Siegel Signature Collection Engineered hardwood coordinates with your home's kitchen cabinetry and woodwork. It is very durable and easy to maintain. Available in natural and stained looks to add character and depth for years to come. The Brentwood Collection features 5" wide handscraped option that continues to be one of the most popular choices of flooring options. Because of its thicker wear layer, we are able to offer a 5 year light commercial warranty. The Autumn Brook Collection is another Handscraped line that combines Auburn, copper, mocha and natural styles a variety of exotic looks at an affordable price. The EuroVintage Collection is a mix of warm, soft natural age tones, with the Hightown Collection consisting of deep browns and high contrast rustic colors. Buy RA Siegel Signature Collection Hardwood today at ACWG! R.A. Siegel Signature Collection hand scraped wood flooring is an extremely popular wood flooring option with anyone seeking something just a little bit different. 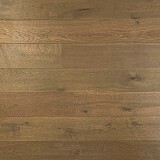 This type of hand scraped wood flooring, as the name suggests is wood flooring which has been made to look old, somewhat distressed and worn, using a technique called hand scraping. Hand scraped wood floors come in a variety of different looks, each with a uniqueness which serves to enhance the appeal of this choice of wood flooring. The hand scraping technique used today to age wood floors is not new, and in fact, dates to before mechanical woodworking tools had even been invented. Before machining wood became the norm, planks were typically sawn by hand for use as flooring and those hand-cut planks, by their very nature, had a tendency to be irregular and uneven, unlike today's modern, machined equivalents.